Denmark’s EKF has signed an £800mn guarantee for Hornsea 1 in what it says is the largest wind financing that any public export credit agency has ever provided. 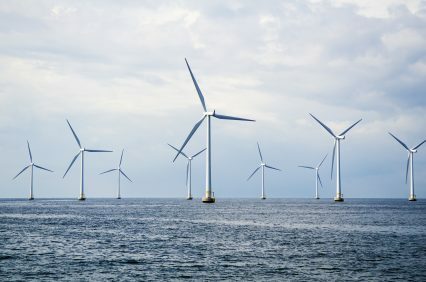 Located off the coast of Yorkshire, UK, Hornsea 1 is currently being constructed by Danish wind farm developer Orsted, formerly Dong Energy. The firm originally had full ownership of the farm, but earlier this month signed an agreement to sell a 50% stake to Global Infrastructure Partners (GIP) at a price tag of £4.46bn. When in commission in 2020, the 1,218MW plant will be the world’s largest offshore wind farm, Orsted says. “Offshore wind parks have become so large and the financing so complex that it requires participation from several financial players. EKF participates in the financing by covering a part of the banks’ risk,” says EKF’s deputy CEO Christian Ølgaard about the project, which he says has involved “millions of pounds in loans, complex financing deals, a host of financial players and long debt tenors of up to 18 years”. Citi provided the £800mn covered by the EKF guarantee, a spokesperson from the export credit agency tells GTR, adding that the deal involves a two-year draw-dawn period and a 16.5-year pay-back period. According to Ølgaard, it will finance suppliers such as Siemens Gamesa Renewable Energy, but also a “vast number of sub-suppliers” from Denmark. Hornsea 1 is the first of four projects in what is known as the Hornsea Wind Farm. Construction of the adjacent Hornsea 2, for which Orsted received the green light from the UK government in 2016, will commence later this year. With this deal, EKF has provided financing worth more than €12bn to wind projects all over the world since 2003, including in the UK, Germany, the Netherlands, Belgium, Taiwan, Turkey, Kenya, Senegal, Bosnia and Herzegovina and Argentina. Last year wind made up 60% of EKF’s total portfolio, and the agency expects this to grow going forward.